We know how much you LOVE Coach purses! 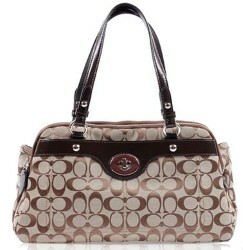 Way Better Snacks is sponsoring this beautiful Penelope Coach purse for one of you to WIN! Now for the Coach Purse Giveaway. The giveaway will run from 10/12 12:01 am EST – 10/27 11:59 pm EST and is open to US residents only.